Mention the words "herb" and "Colorado" and the next thing that comes to mind probably isn't "with kids." But stay with us for a minute. That's all it'll take. Entrepreneur, storyteller, visual artist and traveler. A certain Colorado amendment brought a bunch of attention to one of the oldest traditions in the Rockies: using botanicals with medicinal qualities. But in a place like Boulder, the publicity is well deserved. We found a town steeped in herb, but not necessarily in the way you would think. 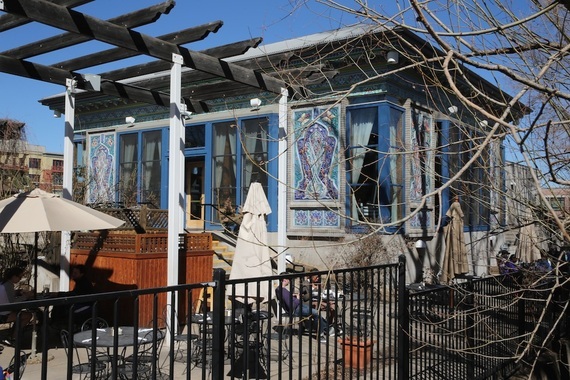 Drop by the Boulder Dushanbe Teahouse, a gift from Boulder's sister city, Dushanbe, Tajikistan. It's said to be the only authentic Persian teahouse in the western hemisphere, and it's a great place for a steaming cup of Jasmine tea. The calming low-caffeine brew set the right tone for our groovy adventure. As we walked along the Pearl Street Mall area, we found a shop that until recently hung a sign advertising: "Legally selling herb since 2004." They were half kidding. The business, Savory Spice Shop, offers a variety of freshly-ground spices that promise to elevate your next meal. 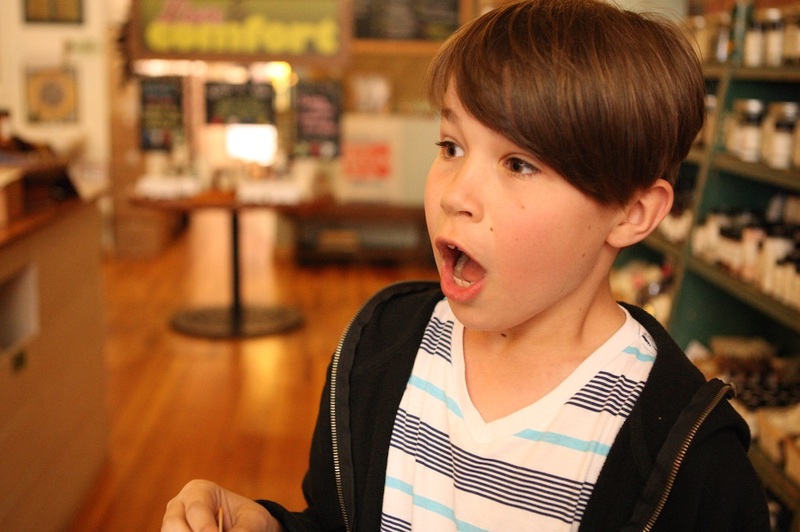 Savory sells more than 160 blends and local products with flavors like Ghost Pepper Salt (that's our son Iden trying a tiny sample), Pearl Street Plank Rub, Spicy Vanilla Bean Sugar as well as our kids' favorite, freeze dried corn. I recommend the Mayan Chocolate powder -- good for hot chocolate and brownies. They also carry locally-sourced, small-batch sauces, jellies and honey. My kids went for the wildflower honey from Beyond the Hive, a company founded as the Johnston Honey Farm by homesteaders in 1908. That's right, Colorado's earliest settlers were already keen on natural remedies. At Rebecca's Herbal Apothecary we learned more about the healing properties found in natural ingredients or as she puts it, botanical medicine. 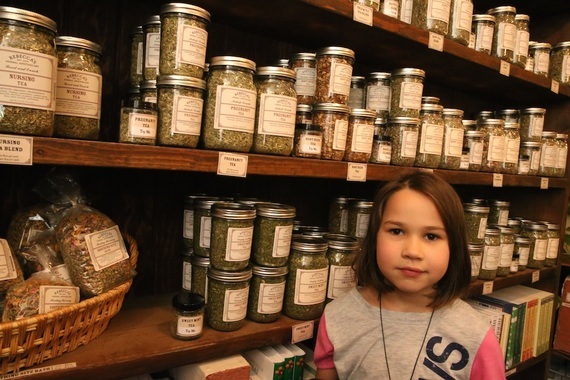 Inside, we saw jars overflowing with organic, hand-picked, medicinal-quality dried herbs. Some are mixed as therapeutic blends to sooth aches, pains or illness. Other are sold in bulk for personal blending. Since it's spring, we spent some time inhaling the decongesting steam and lung tea. They also sell salves, tinctures, soaps and smudges. The methodology of mixing essential oils and aromatherapy may be considered a form of sorcery by some, but there's a science to it was well. Rebecca's offers classes for those interested in learning more about how herbs can be used to improve your health and the environment. In 1969, a group of four friends decided that people were drinking too many soda drinks and coffee. And they thought that might be unhealthy. So they took to the Rocky Mountains and harvested lots of herbs, borrowed some space in a barn to dry them and packaged them in tiny tea bags wrapped shut with wires donated by the telephone company. It was the beginning of the Celestial Seasonings tea company. That original blend, called Mo's 36 Herb Tea, is believed to be the foundation for their number-one selling Sleepy Time tea, which, confidentially speaking, wasn't a tea at all. It was an herbal infusion and over the past 50-plus years, the group has added ingredients like green, white and black tea, Acai, rooibos and echinacea to become one of the largest producers to herbal tea blend in the country. If you're in Boulder, you can visit their factory (that's our son Aren sniffing the lemongrass), taste-test any of their wide variety of teas and learn more about the company that began with the simple calling to make healthy beverage alternatives. Coming from Florida, we have to admit that we like their teas best when they're iced. 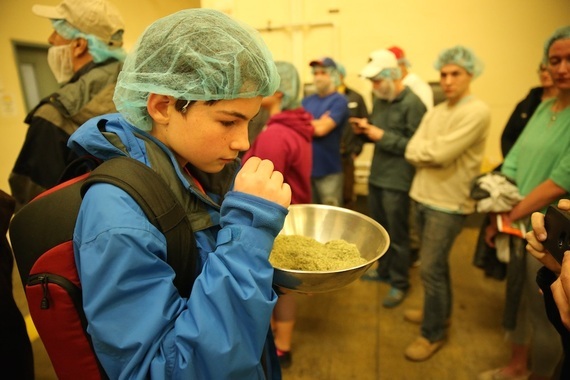 The kids were impressed by the Celestial Seasonings factory tour, which lasts just under an hour. We have the overstuffed bag filled with kid-friendly blends to prove it. A word of warning: If your youngsters ask for Fast Lane tea, just say "no." It's got lots of extra caffeine. 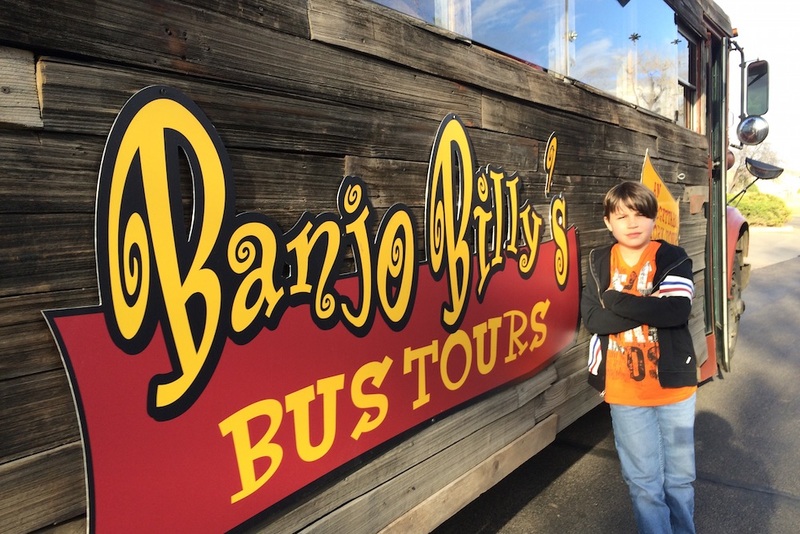 One terrific way to see Boulder is on Banjo Billy's bus tour. You'll learn a lot more about the history of the area and the local culture and he may even offer you an herbal tip or two.